We love Bargain Hound Daily Deals! Always great giveaways! 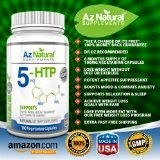 Right now they have a giveaway and you can Win 5-HTP or Garcinia 5 WINNERS!!! $34.95 value! !